The handwriting is slightly faded but still clear enough to read. and remembered the joys of cooking with my mom. Recipe after recipe we fixed together all the while sharing back and forth. and guess its been passed down to me. Fixing a new dish of preparing an old favorite are enjoyable pastimes. And caused me to reflect upon some treasured moments. I remember the day my mom passed her recipe book on to me. Filled with old, treasured recipes. and sealed it with love. “Enjoy this,” she had said that day so long ago. 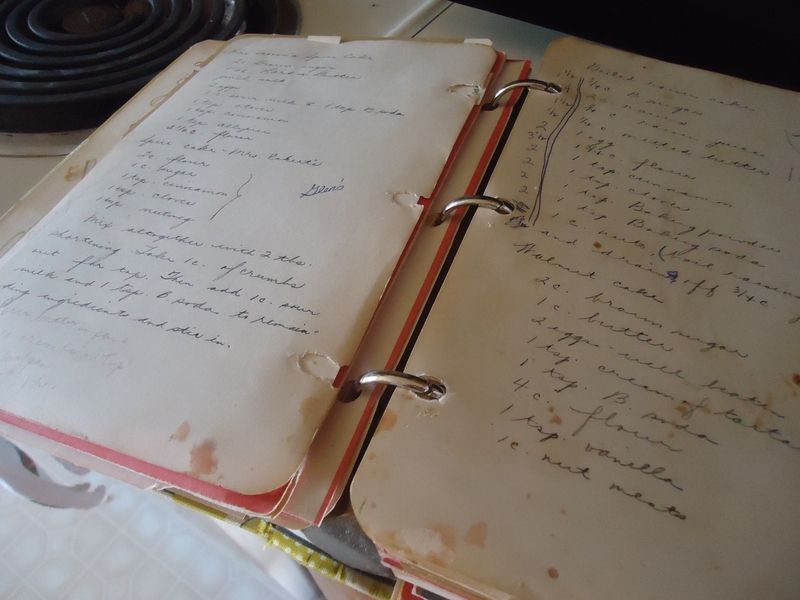 Hmm, she had no idea how much I love seeing her familiar handwriting and those old recipes. Or, on second thought, maybe she did. She had gotten them from her mother years before. Yes, words written in love mean so much, don’t they? each with her own unique style of writing. I carefully fold the notes and cards and hide them away. And then I think of Another’s writing. The most treasured of all to me. My heart overflows with deep gratitude whenever I read the scriptures. and that great day a-coming. My Bible reminds me of His Amazing Love. and rejoice in His Words. Let them change your life and they have mine. This entry was posted in Inspirational, Life Coaching and tagged encourage, faith, handwriting, inspire, recipes, Word on September 22, 2012 by SharonBrani.